Friends: Thank you from the bottom of my heart for all of your support and reassuring words over the past couple of weeks. Losing a parent has undoubtedly left a big hole in my heart but the kind words and stories you’ve shared about your own experiences with loss have been immensely comforting — especially during those quiet moments when the sadness catches me off-guard. It never ceases to amaze me how caring and supportive this little blog community is — I am so fortunate to be a part of it and to have the support of so many friends, many who I’ve never even met. In light of everything we’ve been through during the past few weeks, the hubs and I debated cancelling our summer vacation plans. 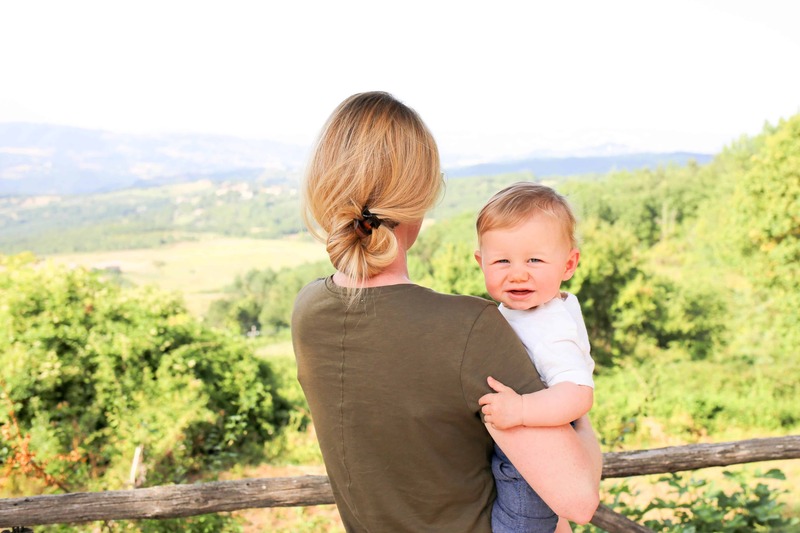 A two week trip to Europe with an 8-month old is a lot to take on and, for a few days, I wasn’t sure I had it in me. But deep down I know my dad would want us to have this adventure. So in the end, we decided to keep our summer vacation plans and boarded a plane to Italy on Saturday afternoon. It was a long, tiring trip for everyone but now that we’re here, we’re so happy we came. Over the next couple of weeks the hubs and I are looking forward to enjoying some good food and wine in Italy as well as exploring Ireland a bit and attending our friends’ wedding in Kilkenny. This week we’ll be staying in the same teeny tiny little town of Morruzze, where we got married 3 years ago — a time and place in our lives that also brings back so many great memories of my dad. With the timing of everything I now feel like this trip was part of a bigger plan to let me relive some of those happy moments and help my heart heal. We don’t have a whole lot planned this week other than a couple of day-long outings and maybe one overnight to the eastern coast of Italy, depending on how long it takes the little man to get over his jet lag and how exhausted we are after-the-fact. Right now we’re just looking forward to a relaxing week here in Umbria and whatever adventures these next couple of weeks bring. This trip definitely seems part of the larger plan. Savor those sweet memories as they pop up these next couple of weeks. I’m certain your dad is with you.